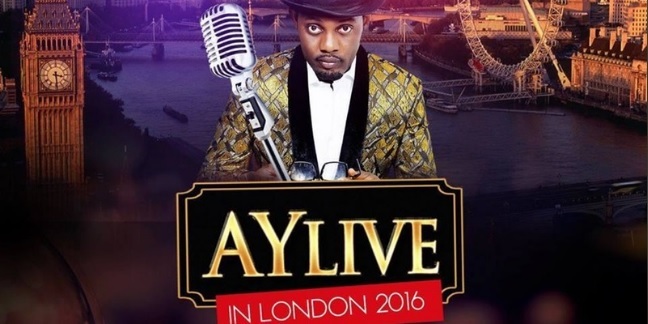 AY comedy show is here in London, December 2016. Laughter is the joy of life and AY is coming help us keep that sanity. Most of the classic acts are turning up including, Klint Da Drunk, Okey Bakassi and I Go Dye and the ‘Early Bird’ tickets are all sold out already. Some places still have ‘Early Birds – £22’ tickets, so check well to get value for money. UK Nigerian 2016, AY live in London UK Bookmark the permalink.